Katherine Ostiguy, 28, from Foster, RI, first saw agility on television many years ago and was curious about the sport. After reading Soul of the Silver Dog, by Lynn Hall, she decided to seek out her first agility class. Inspired by the main character’s journey to help a retired conformation dog return to competition, Katherine began training at the local SPCA (Society for the Prevention of Cruelty to Animals). After 16 years of learning and practice in multiple disciplines, she is now a professional dog trainer herself. 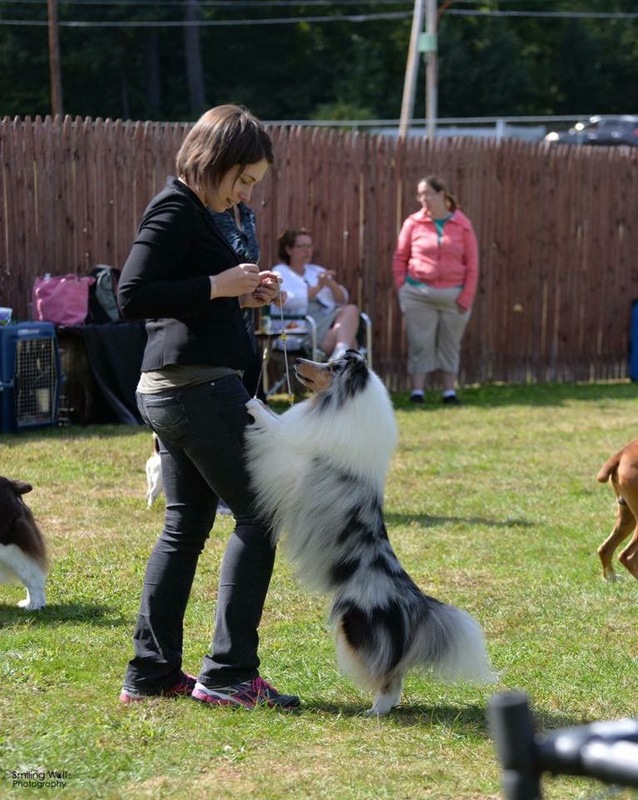 Katherine and her Shetland sheepdog, Spark, will fly to Arizona from Logan Airport in Boston to compete at Cynosport®. Spark made the trip to Tennessee last year for the event, but this will be his first trip west of Michigan. Spark is a versatile dog and accomplished in weight pulling, which Katherine says is excellent cross training for agility. In addition to weigh pull, he has titles in conformation, herding, rally, and agility of course!